Historically, heat treatments have been used to help heal the body for thousands of years. “Hot air baths” and sweat lodges were used for relieving tension and encouraging detoxification among Native Americans, Eastern Europeans and in Ancient Chinese Medicine. Many years ago, before the invention of focused light therapy, basic saunas were created by building a fire directly under an enclosed sitting area. The “sauna” was heated with hot rocks and other materials burning on a fire that carried heat and smoke up to the lodge. Moving into the modern day, we have some of the most advanced light therapies available to help with many common health concerns with infrared technology. Research shows that specific parts of the infrared spectrum are effective at producing different health benefits. Our 3-in-1 sauna blends the optimal wavelengths—near, mid, and far—to achieve specific results. Seven preset wellness programs are ready to use at the touch of a button (explain below). Sweating is the body’s safe and natural way to detox. Far infrared benefits the body by heating it directly, causing a rise in core temperature. This results in a deep sweat at the cellular level, where toxins reside. 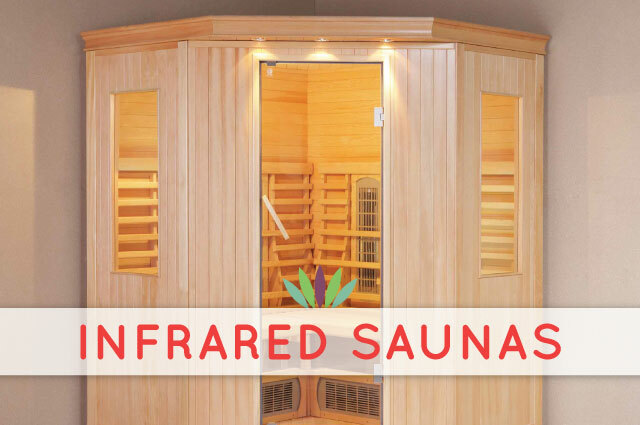 Unlike traditional saunas, which operate at extremely harsh temperatures, infrared is a gentle, soothing and therapeutic heat. This setting helps you relax while receiving an invigorating deep tissue sweat, leaving you fully refreshed after each session. Induce a deep sweat to make the heart pump faster, which in turn increases blood flow, lowers blood pressure and helps circulation. Scientific evidence shows using this setting a couple times a week lowers blood pressure. The near infrared wavelength (aka Red Light Therapy) is the most effective wavelength for healing the epidermis and dermis layers of the skin. Near infrared treatments stimulate collagen production to reduce wrinkles and improve overall skin tone. For more information stop in and talk with Jordan or Donna and book your time slot today!